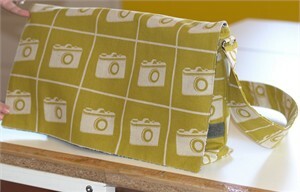 Just found this tutorial on how to sew an easy Messenger Bag. I like her choice of fabrics and its size. This can be a great birthday or Christmas gift for a teenager. Just pick some cool fabrics, for boy or girl. Fill it with books, iTunes gift card... and you will have a winner!